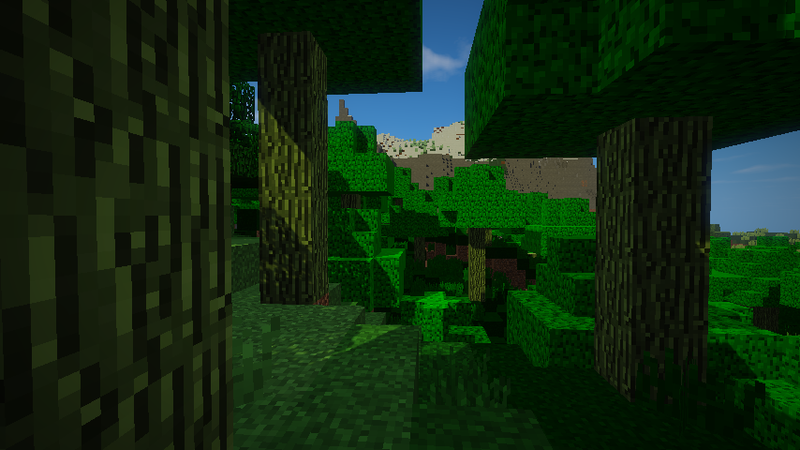 This is the High Adventure mod, adding all sorts of new things to your Minecraft world! This mod is a WIP, its purpose is to try and add more things to explore and make! I plan more biomes, dungeons, mobs, and possibly a new boss or three! For now, I have added in many items, plants, a few biomes, tons of ores, armors, tools, and even created a new kind of armor piece: the gauntlet! I hope for this mod to be a great big project, and would love for you to suggest anything you might think is useful, and if you'd like to help me go ahead to the bottom of the mod description or to the discord channel! Terra Quartz found in your overworld! Aolia trees and the ore made from their crystalline sap, Aolium! Crystals in all the colors of the rainbow, and then some! A Gem Refinery used to refine Crystals into Gems and Diamonds into Refined Diamonds! Leather Gloves and Gauntlets of every kind, from Iron to Diamond, Aolium to Terra Quartz! Refined Diamond and Aolium armor! Refined Diamond and Terra Quartz tools! Rings! So, so, so many rings! A ridiculous amount of rings! Iron rings, Gold Rings, Bismuth Rings! A new light source, Lobuds, the flowers of the glowing Lobelia plant! The mysterious rare Midnight Rose and Midday Daisy! Crystalpine Forests, with short little trees with crystals forming on them! Spooooooky graveyards (that for the life of me I couldn't find)! Praisinlia forests, with leaves made of Emeralds! A new dimension below the bedrock, with a unique way to access it! An actual use for those freaking iron and gold nuggets! There's a lot of things to do in HA, lots of things to craft, as well as things to explore! I'm not going to explain how everything works, as I don't want to ruin the fun of finding out what things do, but I will explain the things that you won't know without help. So here we go! The tools, all crafted how you would expect! The rings, each of them with a unique ability (except for the plain iron and gold rings). Iron rings can be activated by putting them in your off hand, and gold and bismuth rings are activated by right-clicking. The crafting is shown below! The armors and normal weapons, all crafted how you would expect! The special weapons, with the crafting recipes below! The Gloves and Gauntlets, used by putting them just into your inventory, the crafting is shown below! The materials added, refined diamonds, terra quartz, bismuth, and all the crystal shards and gems! Gloves and gauntlets! To create them, put the materials into this shape in the crafting grid. This can be used for Leather, Iron, Gold, Diamond, Terra Quartz, Aolium, and Refined Diamond. Rings! There are many rings in this mod, and this is how you create all of the base rings. This recipe can use iron nuggets, gold nuggets, and bismuth. The Gem Refinery! This is the block used to refine gems and diamonds using iron nuggets. Make sure it's in that corner, as I can't make recipes slide yet. This is a Gem Refinery recipe. Put in your choice of crystal color and an iron nugget and press refine to create a Crystal Gem. This is a Gem Refinery recipe. Put a diamond and an iron nugget in and get a Refined Diamond out! The recipe below uses the mallet, a tool specifically for putting gems on rings. Here is the recipe for it. This ring is a very special ring. This ring can create a portal to the caves below bedrock if you bring it to the bottom of the world and use it. The recipes for the special weapons, the Scythe, the Seared Cutlass, the Lightning Dagger, the Speedy Saber, the Throwing Knife, and the Bolt and the Crossbow! You can use their abilities by right-clicking or attacking with them. The recipes for saws! All of them mare crafted like this! They can be used as weapons and axes, and attack faster than axes! I can't do everything myself, and there are some things that I am no good at and could use your help. If you can create schematics of dungeons that I or you design using custom blocks and entities or can create models for mobs, please please please leave a comment below or on the discord channel with what you'd like to help out with and I'll try to discuss options with you. Keep in mind that I can't work with everyone, so please don't take offense if I decline you or don't respond. As a final thought, please report bugs and suggestions so I can make this mod better. Also, there are some people who have generously volunteered to help with my mod, PixelDotExe or _-A-_ and Grill! I have a few mods that I think are great to play with while you play HA! Those are The Tons of Mobs mod by TomtheVillager, The Crystallia by Sporadic Splash, and Fate/Craft by Eonaut. 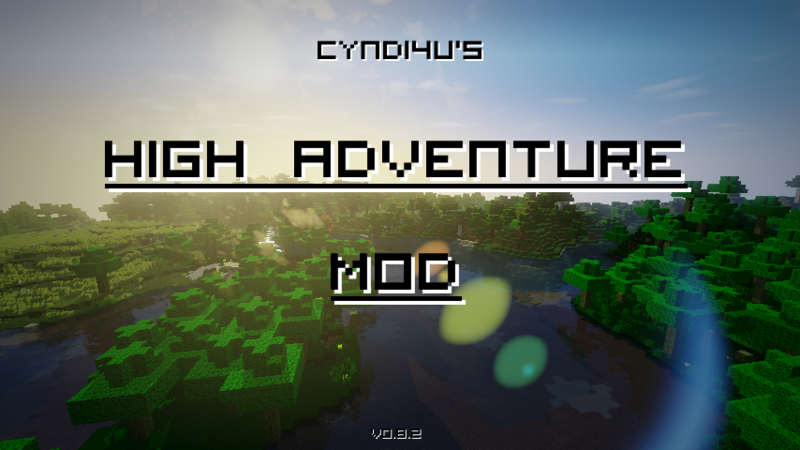 I hope you enjoy playing with my High Adventure mod and thank you for reading all this! The first release of HA! This adds so much to your game, and more can be read about it above! New unique textures for every gem and ring! Special weapons the Scythe, the Seared Cutlass, the Lightning Dagger, the Speedy Sabre, the Throwing Knife, and the Bolt and Crossbow! 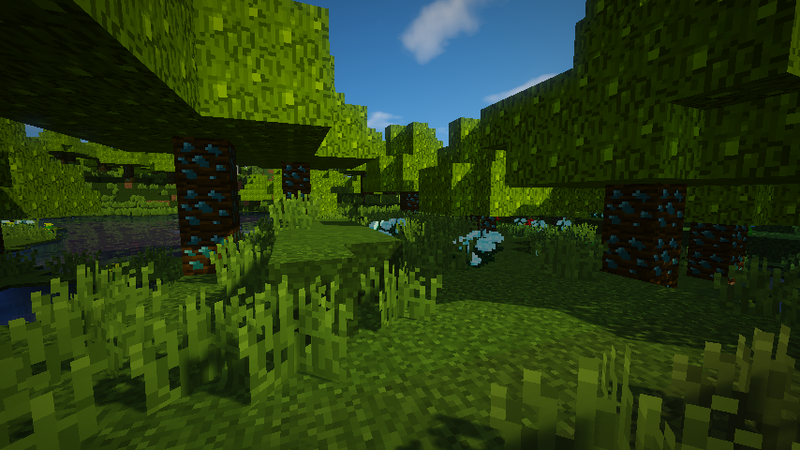 The Amethyst Forest, as well as leaves and wood for it! The Midday Daisy, Gem, and Bismuth ring! Fayelia flowers and edible petals! It's a good mod with good ideas !!! Awesome mod! Submit it to MOTW! PS: what do rings do? Each ring has it's own unique ability (except for plain iron and gold rings)! You can activate iron ring abilities by putting it in your off hand, and activate gold ring abilities by right-clicking with it! Rings all have their own unique abilities (except for plain iron and gold rings), and are activated in two different ways. Iron Rings are activated by putting then in your off hand, and gold and bismuth rings are activated by right-clicking! OK! Can you create schematics using mod blocks? I need help with this for creating dungeons. Thank you!